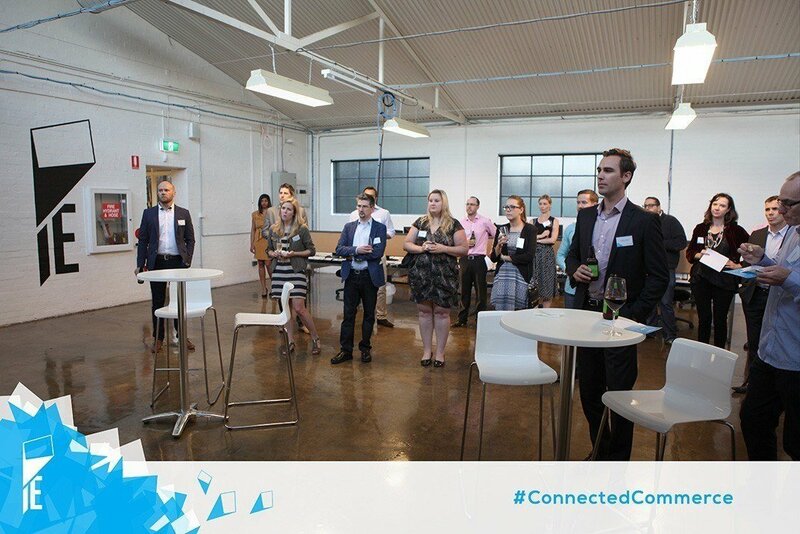 The first of The Connected Commerce Series took place at IE Agency last week. 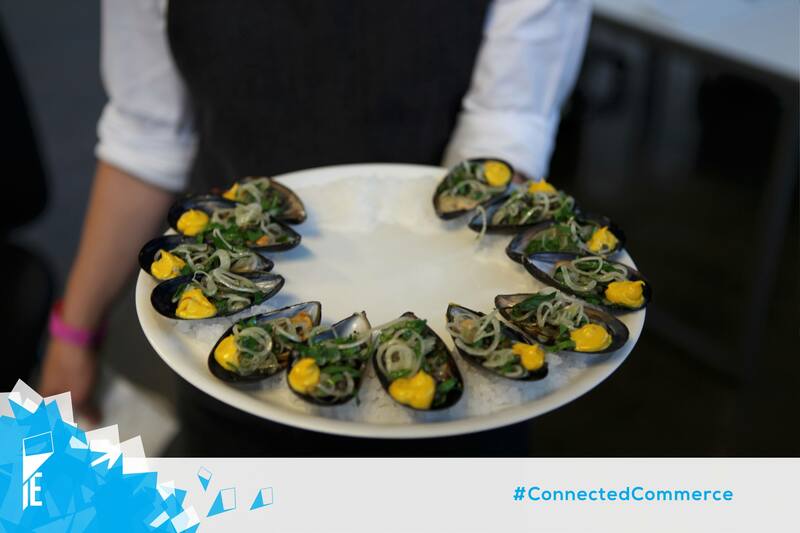 A unique networking event, with an impressive turnout of leading retailers, Connected Commerce brings industry professionals together for open discussion on the blending of virtual and physical customer touch points. The speakers engaged the audience by providing key insights from their specialised business experience. Rhys Hayes, Chairman of IE Agency, welcomed the audience with a recap of the Retail Leaders Forum in Sydney and focused on the implementation of universal innovation across all brand touchpoints. To evolve in the retail space, we must now be looking at a 90% best practice and a 10% innovation approach to business. Connected Commerce: The transaction is the purpose behind all engagement. 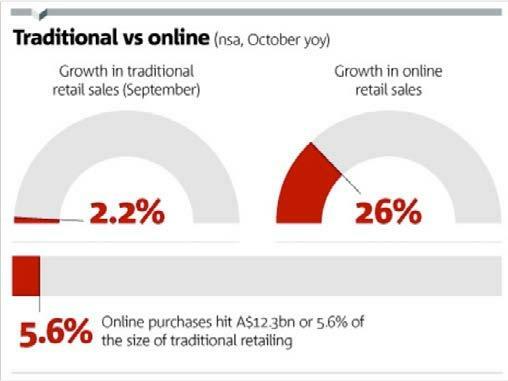 The war of attrition: Online purchases hit $12.3bn or 5.6% of the size of traditional retailing. Grant Arnott, Managing Director of Power Retail & Click Frenzy, followed by starting a discussion about how global retailers are curating their brand experiences through omni-channel and segmentation strategies. Global omni-channel leaders: Sephora uses partners to distribute their products globally and Walmart’s new “trending now” section pulls product information based on fulfilment at the checkout. The ‘phygital’ future of retail: Google, eBay & Amazon are implementing cutting-edge technologies to provide customers with a personalised experience. As well as this, cart recognition, recommended products and targeted email-marketing are all set to advance in the years to come. Local motion: Australia’s brands embracing omnichannel: Sportsgirl have a willingness to embrace global technologies that sets them apart. Australia has many great user-experiences already in action. For example, Shoes of Prey’s ‘design-your-ownshoe’ function, provides customers with a unique, personalised experience. Damion Brown, Managing Director of Data Runs Deep, shared valuable insights on Google Analytics, making references to the newest Google technology, Google wallet. First Data Revolution: Google Analytics (GA) – The central hub of GA is still based on old methods of tracking people, when in reality it is much more complex. Second Data Revolution: Multi-Channel – The ability to track people across visits is now an option, however this is still specific to device. The Future: Google will own the path-to-purchase online. Through the release of their Google wallet – tracking purchases will grown even more refined in the coming years. There will also be a greater focus on personalisation across devices through data analysis. To do now: Install Universal Analytics (in tandem with google analytics), Strategise analytics (firm up a tracking system of where to focus your attention) and easy wins in Universal Analytics like tracking email opens through Mailchimp. A forum debate on the future of High St retail concluded the evening. The audience was filled with industry thought leaders from the likes of: The Sussan Group, The Walt Disney Company, Forever New, Australia Post, The Cotton On Group, BUPA, eBay, PayPal and Magento. With such a wealth of knowledge in the room, the discussion covered the mutual business challenges retailers are facing today. Guests enjoyed catered food by the Union Dining team. The dessert of White Chocolate & Mint Truffles with Dark Chocolate Mousse was a crowd favourite. All of the accompanying drinks were specially selected for the evening including various imported beer and wine. A roaming photobooth, commissioned for the evening by IE Agency, provided a nice memento for attendees. The application granted the invitation-only guests with their images instantaneously and was then shared to a screen of aggregated pictorial content. You can find the images here. The next event in the series is set for June 11th 2014 – lock it in your diaries now!